*.script – it contains information about a source and destination for imported data. *.destination – this file contains information about database connection. 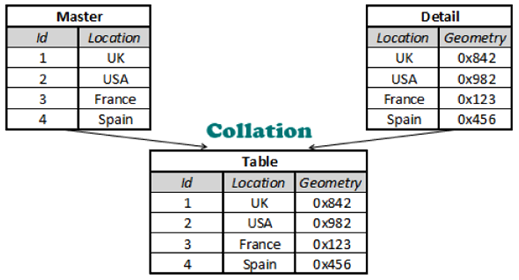 *.collation – Collation file is consisted of Master Table and unlimited Detail Tables. MasterTable contains a ConnectionString and ColumnNames string array. DetailTables have a ConnectionString, MasterColumnName, DetailColumnName and ColumnNames string arrays. DetailColumnName – is a unique column from each DetailTable, which provides a link to MasterColumnName.